President Donald Trump isn’t just a fan of Twitter. He is also Facebook’s biggest spender on political advertisements, a recent study by New York University researchers showed. Researchers mined the social network’s new archive of political ads. 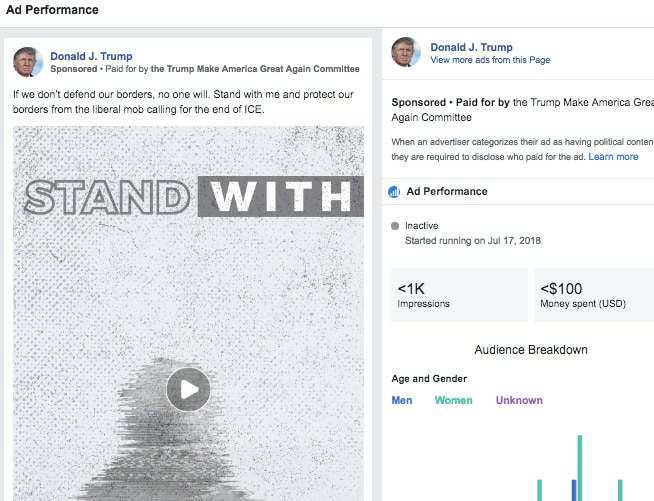 And since Trump’s push for reelection in 2020 is underway, with his campaign, along with the “Make America Great Again” political action committee, he has spent an estimated $274,000 on Facebook ads since May, according to the study. Those ads have hit 37 million users on Facebook, NYU researchers reported. Trump has outspent the next closest political advertiser, Planned Parenthood, by more than $85,000. Altogether, the Trump campaign has pushed about 9,500 ads in the last two months. “So long as I’m your President, ICE WILL ALWAYS DEFEND OUR COUNTRY! We must stop the Left NOW,” reads one Trump ad reviewed by TheWrap on Wednesday. 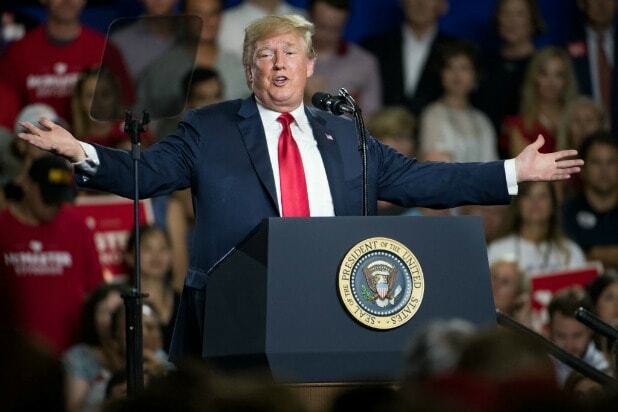 “I’ve said it before and I will say it again: the Mainstream Media is out to bring down my Administration,” reads another Trump ad, before asking his supporters to take a “media accountability” survey. The study didn’t have a final tally on spending by Republican and Democratic politicians, NYU researcher Damon McCoy told the New York Times, although they plan to collect those figures going forward. 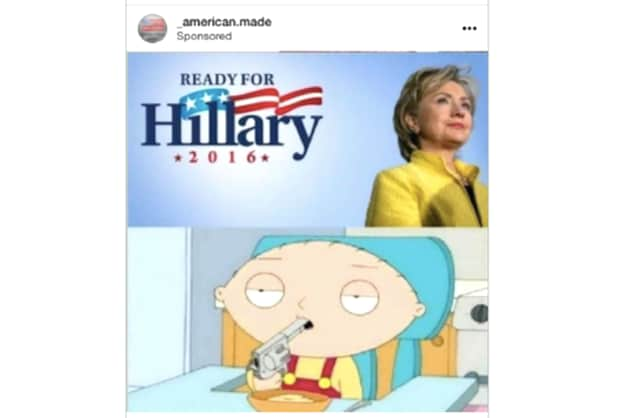 Facebook launched its archive of political advertisements in May. It’s an extension of the company’s efforts to be more transparent when it comes to ads, after Russian trolls leveraged the platform in 2016 to spread misinformation. Facebook now requires political advertisers to verify their identity before starting marketing campaigns, including confirming their U.S. location via postcards.